Readers of the CURDS blog series will be aware that, as part of the national EPSRC and ESRC-funded iBUILD Infrastructure Project (https://research.ncl.ac.uk/ibuild), CURDS is conducting research into the governance and regulation of local infrastructure funding and financing. Two recent reports produced by the RSA City Growth Commission and the Institute for Public Policy Research (ippr) examine the role of infrastructure in local growth and development, and together pose questions about how we define and measure the value of urban infrastructure. Last week, I attended the launch, in London, of the City Growth Commission Report Connected Cities: The Link to Growth, the latest publication by the Commission that is investigating the growth potential of UK cities, chaired by the former Goldman Sachs Chief Economist, Jim O’Neill. The report, which cites the activity of iBUILD, claims that “high quality infrastructure is a critical driver of productivity and growth”. Few would disagree with this statement, although economic geographers would also suggest that infrastructure is not the sole determinant of productive local and regional economies, as the OECD affirmed in its 2012 study, Growing all Regions. Rather, infrastructure is one component of successful development strategies, alongside human capital, innovation, enterprise and effective institutional governance. However, policy-makers and researchers are understandably seeking to acquire greater knowledge and understanding of how and where infrastructure drives particular forms of growth and development, and how public and private infrastructure investment decisions can be better informed by technical appraisal and assessment. 1. The development of a stronger, urban-focused Infrastructure UK. 2. The creation of a fairer and more flexible funding system based on fiscal devolution to cities and city regions. 3. The introduction of a flexible and innovative planning system. 4. Better appraisal techniques that reflect more accurately the costs and benefits of infrastructure investment. 5. Strengthening of city governance and local government capacity. The Commission also identifies a critical issue that was flagged up in a previous CURDS blog on Fiscal Devolution, which concerns how UK national accounting frameworks should measure and interpret certain forms of local growth as additional contributions to the national economy and not as displacement between local areas. One of the Commission’s headline proposals is that, as a counterbalance to London and the South East, investment in transport infrastructure between northern cities should be prioritised, in an effort to create a large ‘alternative agglomeration’ in the north of England. This differs from the conclusions reached by other studies, such as the Eddington Transport Review in 2006 and the Manchester Independent Economic Review in 2009, both of which argued that transport investment within cities should be the immediate priority. The Growth Commission’s work is a useful and timely contribution to the existing discourse on cities and infrastructure. However, very little is said about the social and environmental value of infrastructure in shaping, making and re-making urban economies and places. Whilst the report is accurate in its assessment that the private financing of infrastructure in the UK has, in part, led to fragmented or splintered urban infrastructure networks, the Commission could have been more explicit in its critique of the current market failures in infrastructure planning and investment. The report, for instance, could have highlighted how cities outside of London require a consistent policy line from Central Government on urban transport management and governance if they are to assume greater responsibility for the planning, funding, financing, delivery and regulation of local transport infrastructure. For example, Whitehall views London’s bus regulatory and over-sight system as a success, but the Government is seemingly reluctant to show the same level of support for similar models being advocated in other urban areas in England. The baton on cities and infrastructure ownership and control is picked up by ippr in a new report, City Energy: A new powerhouse for Britain. The report suggests that cities could play an important role in fixing what the think-tank calls the ‘broken market’ in the UK’s energy sector, which, as the Public Accounts Select Committee concludes, is demonstrated by the fact that consumers are paying (and are forecast to continue to pay) higher bills and therefore disproportionate contributions towards industry capital investment. In the past, UK cities were responsible for building and maintaining infrastructure assets, reflecting what Adam Smith regarded as the third duty of government. Recently, cities, such as Munich (referenced in the ippr report), Melbourne and New York, have developed new forms of community and public urban renewable energy provision. In 2013, voters in Hamburg agreed to the city’s energy grids being brought back under public ownership, part of a broader trend that has seen 170 German municipalities, since 2007, buy back energy grids from private companies. The citizens of Boulder, Colorado, USA, have also agreed to move the city’s energy grid into municipal ownership despite strong opposition from the state’s largest utility company. 1. Fully licensed supplier: a city sets up and runs an independent supplier, taking full responsibility for delivery and meeting licence conditions. 2. Joint venture: a city works with one or more third parties to set up and run an independent supplier. 3. Licence-lite: a city becomes a ‘junior supplier’ with responsibility for some aspects of delivery and meeting licence conditions, while a partner ‘senior supplier’ is responsible for the rest of the business. 4. Partnership: a city works in partnership with an existing, licensed supplier and takes responsibility for some operational aspects of the supply business in its area. 5. White label: a city licenses use of its brand to an existing supplier who uses it to market to customers in the local area. On the vital question of funding and financing, ippr recommends that: cities work with the Green Investment Bank on low carbon energy investment; cities support the Local Government Association’s proposals to establish a collective Bonds Agency; the fiscal rules laid down by Treasury should be designed to ensure that debt for local authority capital expenditure does not count against legitimate targets to bring current spending back to balance in the medium term; and local authority pension funds should comply with the Principles for Responsible Investment. • Concerns about the funding of infrastructure in the aftermath of the Global Financial Crisis. • A desire on the part of governments to achieve public service and community objectives. • A move to rebalance stakeholder and shareholder interests. • Notable private sector failures in infrastructure provision and delivery (particular in management and corporate governance). • A call for greater transparency and openness in procurement, investment and finance decisions and plans. • Greater regard for environmental and sustainability considerations. • Recognition that infrastructure is a broader societal and economic asset. • A move by cities to re-think the use of public realm and spaces within urban contexts. Professor Dieter Helm, an infrastructure expert at the University of Oxford, claims that the issue now is not whether the state should intervene in infrastructure, but how. In CURDS, we would also declare a specific interest in identifying where the state should deliver interventions within and across different spatial levels. These questions, along with others, are providing some of the context for new research by Glasgow University’s Professor Andy Cumbers on alternative economic strategies and infrastructure ownership models. A deeper exploration of these intricate patterns and processes, drawing upon emerging analysis and initial findings from the iBUILD project, and parallel CURDS research on cities and devolution, should help us to arrive at a clearer definition and measurement of the economic, social and environmental value of urban infrastructure assets and systems, which ultimately will then inform crucial long-term investment decisions. An economic recovery has emerged in the UK that is unbalanced in social, geographical and sectoral terms. Whether or not decentralisation can improve this might well come down to simple questions of trust and stability. It is against this backdrop of uneven growth that Lord Andrew Adonis has launched his growth review for the Labour opposition. Adonis argues for a more coherent national growth strategy prioritising innovation, skills, growing companies and decentralisation to cities and county regions. The review has familiar echoes with Michael Heseltine’s growth review produced for chancellor George Osborne in 2013. Politically, this highlights the coalition government’s somewhat lukewarm response to Heseltine’s recommendations, especially on the extent and nature of shifting money and power outside the corridors of Westminster. The Adonis review adds some substance to the vibrant public debate around what to do (if anything) about the dominance of London and the South East and its growing disparities relative to the rest of the UK. It emphasises the qualitative as well as the quantitative extent and nature of growth. It focuses attention on the creation of better quality jobs with training and career development prospects as well on stronger and more sustainable companies able to innovate and export. Drawing on less visible government intervention in the US, it underlines too the need for a “smarter” and more entrepreneurial state, rather than a larger and higher spending state. Doing more with the money government already spends and invests to achieve better outcomes is the trick. Such ideas are challenging for those who advocate simplistic arguments about smaller and less government. One thing given prominence is the need to boost the local and city-regional dimensions of growth as the route to a more balanced economic recovery. Adonis wants us to meaningfully enhance the powers and resources available to cities and county regions especially for infrastructure, transport, housing and skills. He also advocates a strengthening of the existing Local Enterprise Partnerships in England, and the encouragement of integrated governance structures – the so-called Combined Authorities. These have been established around Manchester, the North East, West Yorkshire, Sheffield and Merseyside, and have given those regions the ability to retain more of the business rates generated in their local economies. There is much in common – if not always acknowledged – between the coalition’s approach and the ideas advocated in Adonis’ Review for Labour. More crucial though might be a key difference in the extent and nature of decentralisation. Some thorny issues remain in several important areas. First, the decentralisation envisaged requires a shift in how the state works at both local and national levels. The often overlooked issue is what needs to happen in Whitehall and Westminster to make such decentralisation a reality and to make it work. Austerity politics in what is still a highly centralised system in England has made this more difficult. It helps dissuade politicians from releasing more powers and resources to the local level and it acts as a disincentive to trust local politicians and officials to develop credible plans, wield power in accountable ways, spend their money wisely and deliver policy effectively. Second, Adonis reiterates the strong argument for empowering people at local level to arrange their own investment in infrastructure, skills and economic development. Critical to this is creating what the OECD calls “fiscal space”: the capacity and flexibility for local governments to raise and deploy resources to address particular local concerns. Our work reviewing the City Deals in England as part of the EPSRC and ESRC-funded research centre on innovative business models for local infrastructure delivery (iBUILD) has thrown some light on this. It shows that city authorities in England are indeed trying to pool, upscale and tailor resources for long-term investment, and use the private sector in the process, but they are hampered by restrictions within the current system. Retaining a higher level of business rates, then, is but one step on a much longer journey toward meaningful fiscal decentralisation. Third, the review draws on some of our own national survey findings to pick apart some of the problems with the current system of Local Enterprise Partnerships. In brief, they lack the staff and resources to meaningfully shape growth in their local economies (although this is changing slowly); their geographical coverage is sometimes mismatched with functional economic areas, and their ability to mobilise and orchestrate local partnerships of business, public and civic sectors is mixed. Keeping them on their toes. More fundamentally, institutional churn and instability is a hallmark of sub-national economic development in England. The pendulum has swung between regional and local arrangements in the post-war period and institutions have come and gone. We have seen Regional Planning Councils, Local Enterprise Agencies, Urban Development Corporations, Regional Development Agencies, Government Offices for the Regions and Regional Chambers. Seeing quite how we break out of this cycle to move towards more continuity and stability is tough. And it’s hard to imagine, for now, how we can incorporate the kind of longer-term strategic and integrated economic development and planning of the kinds pursued in cities and city-regions in Germany and Sweden. 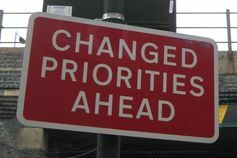 Constant change has produced problematic structures that then spark calls for yet more change. Last, Adonis’ blueprint for Labour rightly places an emphasis on the need for better local and regional leadership. We need strength, far-sightedness and civic sensibility in leaders, he says, as well as an ability to develop ambitious, visionary and credible plans which work in partnership with the public, private and voluntary sectors. This is all laudable stuff, but is it not entirely clear where the “new generation of Joseph Chamberlains” will come from. The politics at local and city-regional level remains constrained by England’s highly centralised governance system. More decentralisation could usher forth a new generation of local leaders. Directly elected Mayors only found favour in Bristol and Doncaster but not in Birmingham, Bradford, Coventry, Leeds, Manchester, Newcastle, Nottingham, Sheffield or Wakefield. And if that won’t bring forward candidates of the type Adonis craves, then some other institutional innovations are needed to encourage their emergence. The dangers of a two-speed country dominated have been front and centre of political debate all year. But the enduring point from the Adonis review, and perhaps from Heseltine’s before it, is that inequalities between people and places are both a cause and a consequence of unbalanced growth, and demand not just a stimulant, but a genuine structural remedy if we are to make progress. Andy Pike does not work for, consult to, own shares in or receive funding from any company or organisation that would benefit from this article, and has no relevant affiliations. There has been flurry of activity recently in local and regional economic development policy. In the last month, the Chancellor of the Exchequer, George Osborne, has spoken about High Speed 3 (HS3) investment in the north of England, Lord Adonis has published his Growth Review, the Deputy Prime Minister, Nick Clegg, has launched a Northern Futures Project, the Coalition Government has allocated Local Growth Fund resources, the Labour Party has published a report on a ‘New English Deal’ for local government, and the Communities and Local Government (CLG) Select Committee has set out the conclusions and recommendations of its Inquiry on Fiscal Devolution to Cities and City Regions. CURDS submitted written evidence to the Inquiry, and in February this year CURDS Director, Professor Andy Pike, gave oral evidence to the Committee. The CLG Select Committee Inquiry has particular resonance for work that CURDS is undertaking on the governance and regulation of urban infrastructure funding and finance, as part of the national EPSRC and ESRC-funded iBUILD infrastructure project. Through an empirical exploration of the City Deals process, we are examining how cities and city regions are able to raise and deploy public funding (i.e. revenue), alongside private finance (i.e. capital), in order to invest in infrastructure assets and systems. 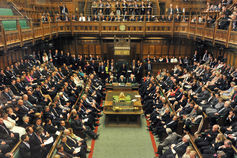 Following an exploration of some of the complex and wide-ranging matters relating to local government funding and finance, economic development, governance and macro-economic fiscal policy, the Select Committee comes out strongly in favour of fiscal devolution to cities and city regions in England, with greater local control over business rates, stamp duty, council tax and income tax recommended. Beyond the headlines, there are four inter-related issues in the Committee’s Report that are worth initial consideration, and which reflect some of the questions CURDS raised in its evidence to the Inquiry and that are being posed in the iBUILD project. First, the Select Committee argues that fiscal devolution and decentralisation of spending should form part of an integrated approach to local and regional policy. Alongside the continued need for equalisation and specific measures designed to address spatial disparities, fiscal devolution alone may not be sufficient. Instead, the bigger prize for cities and city regions may rest in their ability to shape and deliver reformed public services and expenditure in line with local needs, and to plan and secure agreement for how any subsequent efficiency gains and savings could be retained by local areas. Second, by calling for fiscal powers to be devolved to groups of local authorities, covering a recognisable and functional economic area, which are able to demonstrate collaborative activity, the Select Committee suggests that fiscal devolution may not be appropriate for all places at the same time. This would build upon the existing asymmetric framework of devolution in the UK, a model that also exists in other countries, such as Spain. The likelihood, therefore, is that not all places in England will get the powers and resources they want. The London Finance Commission reached a similar set of conclusions last year. Third, the Committee advocates that strong, locally agreed governance models will be needed if Government is to devolve fiscal powers to cities and city regions. Although the Committee eschews being prescriptive about specific governance typologies, it is increasingly apparent that the Coalition, as well as the Labour Party, see Combined Authorities as a form of sub-national governance they have confidence in. However, it is early days for the Combined Authorities and it will be important to see how effectively they work and add value to the decision-making and policy development and delivery processes. Finally, the Select Committee suggests that Central Government should establish a general framework within which fiscal devolution can take place. This raises one of the critical points in the Committee’s Report, amplified by current deficit reduction policies, and which could either make or break fiscal devolution and related attempts to develop innovative approaches to the funding and financing of local economic development and infrastructure investment. This centres on how official national accountancy rules on public expenditure are unable to accommodate additional growth and expenditure (including investment) in one locality without calculating it as displacement and contributing to overall public expenditure and public debt. The Committee concludes that a mechanism is needed that differentiates investment expenditure as opposed to day-to-day spending, and at the same time recognises that certain places can grow but not necessarily at the expense of somewhere else (in the UK). What seems like a minor technical issue has, in fact, become a major stumbling block for some cities and city regions that have been seeking to secure greater fiscal freedoms and flexibilities through the City Deals process. Giving evidence to the Select Committee, the Cities Minister, Greg Clark, urged the Committee to look at how the current “conventions did not allow for the association of growth and revenue with particular places”. One suspects that unless this matter is resolved then any effort to introduce substantial fiscal devolution to cities and city regions in England will stall.